It is not the first time, but in every summer season, you face troubles related to wasp infestation in your home. As soon as the the temperature of Sun rises, the wasps which stay in your outdoor zones start flying in your home. When you try to shoo wasps away, then the flying insects get provoked by your behavior and attack you in return with their bites. Wasps nest on the branches of trees or on any unused old items kept in outdoor. When the colony grows extremely large, then the wasps leave their outdoor nests and look for a new nest which the flying insects can easily build in your house. In other case, when the heat in outdoor becomes unbearable for wasps, then the pests get in your house to make a new nest. Upon getting constantly pestered by wasps, you might opt for some measures to remove the wasp nests. If you exclude wasp nests by using your own ways, then you may bring more wasp hassles at your end. The professional wasp exterminators will know how to exterminate wasp nests in the best careful way. Therefore, your best option would be to call up our wasp pest control Perth exterminators from our pest control company of Perth. 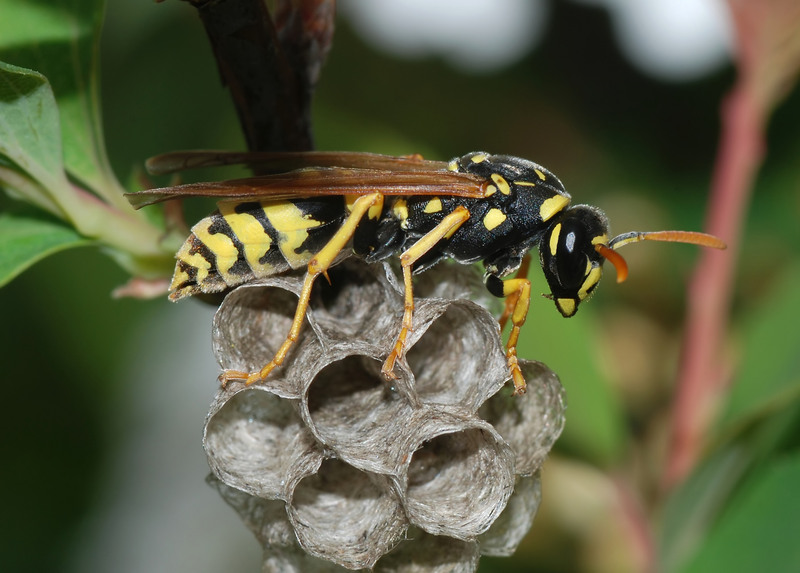 The huge colony of wasp nests can be removed only by our pro and licensed exterminators. Which species of wasps are frequently spotted out in Perth? The world has a large number of wasp species. Not all wasp species will make their infested points in your zone. Perth has specific number of wasp species. Let our pest officers throw some light on each wasp species which make their ball-sized nests frequently in the Perth location. Your house or office will mostly be breeded by parasitic wasps, wood wasps, social wasps, ground wasps, paper wasps, red wasps and solitary wasps. How will you identify wasps? The body of a wasp has less hair. The waist of a wasp appears tight. You will notice peculiar yellow and black marks on the body of a wasp. A wasp’s body is mainly characterized into three parts such as thorax, head and abdomen. The size of wasps can differ. Exterminating wasps and their nests is very essential. Upon ignoring the wasp nests, the wasps will keep growing and will create more troubles at your end with their stings. Remove wasp nests with the help of a highly experienced exterminator. Upon getting your call, we will send our wasp exterminator at your place to assess the nest properly and then exclude wasp nests by using appropriate equipment. At first, our exterminator will make the nest inactive by using eco-friendly wasp control services. Then, the extermination plans will be applied properly on wasps and on all the breeding points, so that the stinging insects never form nest in your territory.